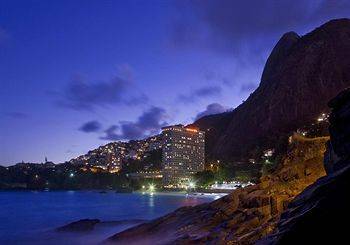 The Sheraton, located next to Vidigal in Rio, is a hotel with excellent views of the beach and amenities galore. It is isolated with its own gorgeous beach, but it's about a 30 minute ride from the city center. Preface: I’m hesitant to post this because of my strong Christian background, but the information is useful… so here goes. When differentiating between hotel options in the United States, we often think of a few things: amenities, room size, bed size, and, of course, cleanliness. We know that a hotel is for extreme comfort and that a motel is a quick, economic choice. We don’t think about the mattresses being covered in plastic or the sheets popping off in the night, as we talked about in When You Sleep. We may think about wall-width, but it is rarely a problem, and when it is, we can usually complain and get another room or breakfast comped. We worry a little that we’ll wake up in the morning by check-out time, but we know we can drop off the key while our travel buddy finishes packing the bags. In Rio, middle class citizens don’t think about these things either. But not for the same reasons. Here I’ll discuss with you the difference between hotels and motels, and what to expect from each. The difference between hotels and motels in Rio is pretty simple. Hotels are what we are mostly accustomed to… comfort and sleep. Motels are for “passion,” and intimacy. 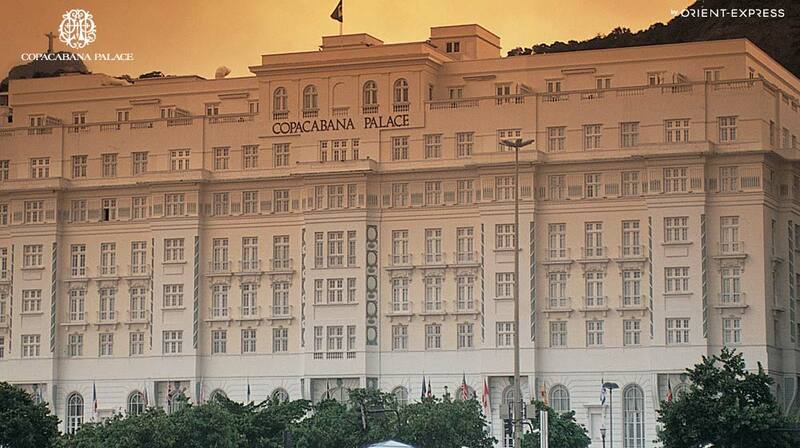 The Copacabana Palace, built in 1923, is the oldest Hotel in Rio. It, like other high end hotels, has beds (not covered in plastic) and amenities much like you would find at a high end hotel in Europe or the United States. Though the beds are often still covered in plastic and the walls might be a little thin, the rooms and the amentities are similar. What’s different? The keys are old-school and more expensive to replace than the plastic key cards that Americans have grown accustomed to, so, often, you’ll need to leave your key at the front desk when you exit and pick it back up when you re-enter. The television, lights, and radio are often controlled by something that resembles an old radio and sits bedside. They do have travel size shampoos, views from balconies, and more. These accomodations are for all-night stays, similarly, but depending on where you go, they may be a little more expensive than what you’re accustomed to. Motels are often lit up with neon signage. These pay-by-the-hour establishments are designed for love birds who'd like to "get a room." I’ll need to give you some background first. Rio is known to be one of the most sensual cities in the world. You see couples smooching on the beaches, and in line at the supermarket, and in the street. What most visitors don’t realize is that these public displays of affection are, to some extent, the result of young adults living at home with their parents until they are married or well into their careers. They, often, can’t go home. The phrase “get a room,” means that one must go to a motel, where the ceilings are covered in mirrors, the room service is not food but, we’ll call it, merchandise, and the televisions are left on explicite, disgusting channels. These rooms are normally rented by the hour and can be cheap or expensive. Why does a good Christian girl know this? Well, I worked in the city and needed a nap. The sheets, towels, etc. were all wrapped in plastic to prove that they had been cleaned. But, I couldn’t get over my phobia. I left in ten minutes and took my slumber by the bay. How do you spot the difference from the street? 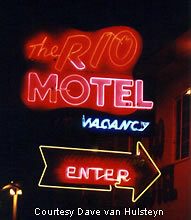 Motel signs are often lit up in neon lighting at night. Their names are often in English and sound seductive. Names like Vanity, or Loveless should give them away. Hotels often have Brazilian names and often look higher end. Good luck. This entry was posted in Accommodations and tagged Accomodations, Hotels, Motels, Rio de Janeiro. Bookmark the permalink.